Back when I started the FTW Blogger Group, I've always had people who asked to join despite having other interests or wanting to post about other stuff... and I've always added them into the Group as long as it was hobby related for the most part. That includes Fantasy players with Fantasy focused blogs. I've recently added a blog roll for bloggers who are more Fantasy than 40k. That way these guys don't feel like they have been shoehorned into to FTW 40k blogrolls despite wanting to focus more on the game they love. I don't think it matters what game you play in the end... 40k, Fantasy, something else, when it comes to things like tutorials on modeling and painting, that stuff is universal. Painting techniques that are used to paint rank and file guys for Fantasy can be applied to 40k and vice versa. There's just so much out there to tap into. 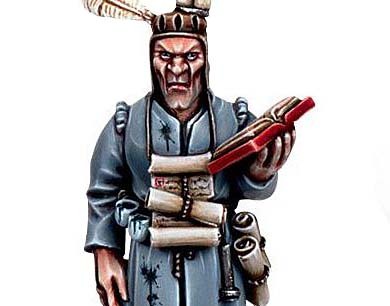 So, if you've got a Fantasy blog you want to have added to the Fantasy blogroll here on FTW, just drop me an email and let me know, it's just like getting added to the 40k rolls. And if any of you "Fantasy" players out there have any great tutorials on how you've done something, send me those links as well. I'll add them to the Tips and Tutorials section here for everyone to see. The new blogroll is located just under the 40k rolls in the right column. Stop by and check them out, especially you 40k players. Some of the blogs are new and some of them come from the 40k rolls because they've decided to focus more on Fantasy. Either way, there's plenty of cool stuff in them and you might just learn something new. UPDATE: This is a fairly old post and lots of things have changed over the part year. Still, it's always fun to look back at where you've been. From the Warp is becoming a monster! This is a great move. This site has really gone from strength to strength. Well done and keep it up. The gaming and blogging community appreciate it.